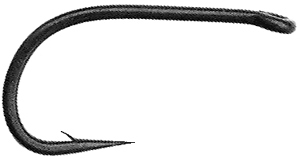 This short shanked hook was designed for fly-fishing for steelhead. It has heavy wire for sinking the fly and for holding large, powerful steelhead trout. It can be used for a variety of popular steelhead fly patterns, such as, eggs, glo-bugs, nymphs, comets, and other wet flies.